It was only when I read the latest Little Treasures magazine that I remembered back to years of painting eggs as a child. So with the wet weekend forecast last weekend, and even though we were a week ahead of schedule, it was a great mid-afternoon activity for me and Noah to wile away some time together. Take as many eggs as you want to decorate and hard boil them. Put in individual containers big enough to roll the egg in the dye. 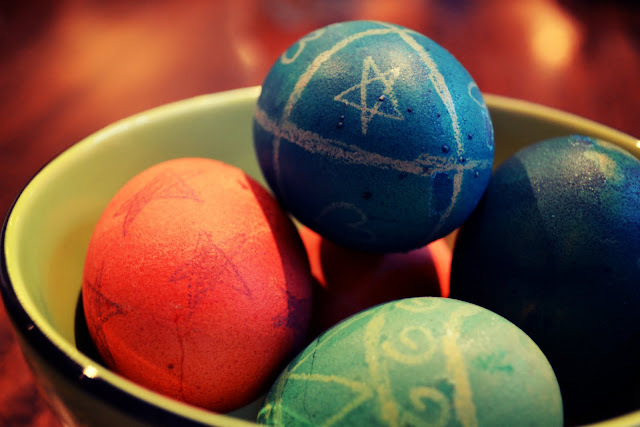 Once the eggs are boiled and cooled enough to touch, use a crayon and decorate a pattern on the egg. Then roll the eggs in your choice of colour and leave to dry on a piece of paper towel or another plate. 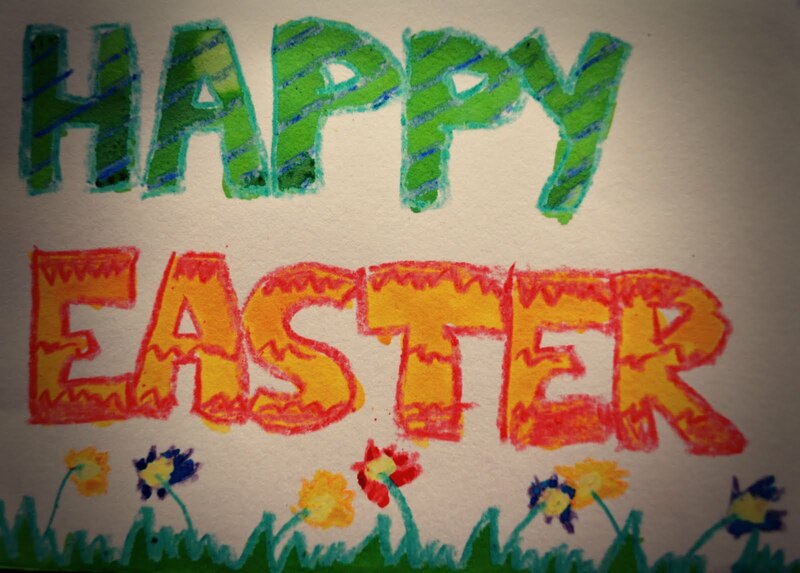 Rather than waste it, we used some of our leftover dye with the crayons to make Happy Easter cards. Very cool trick. We're doing ours tomorrow and might just have to try this. Great pics too. Happy Easter! Oh you are one super mumma! And a brave one at that with all that dye around!